In the spirit of Women’s history month, I wanted to highlight one of my favorite women in history: Mother Teresa. She dedicated her life to helping the poor and was one of the greatest humanitarians of the 20th Century. 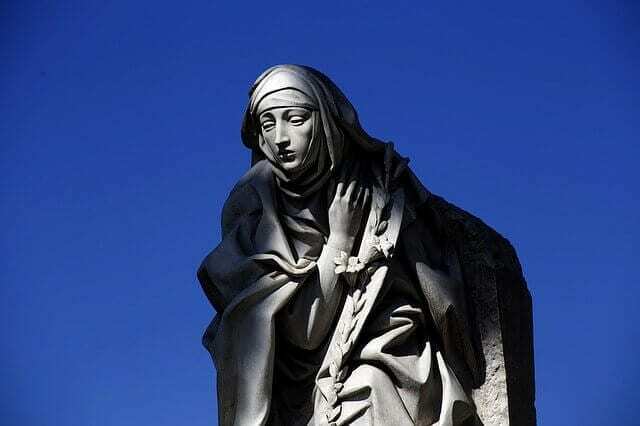 Mother Teresa’s birth name isn’t Teresa but Agnes. She was born in Macedonia in 1910 and lived in India for most of her life. She funded the Order of the Missionaries of Charity in 1950 with the goal to help the unwanted and uncared for. She established several nursing homes, clinics, orphanages and care centers in 123 countries around the world. Mother Teresa received numerous honors including the Nobel Peace Prize for her work “in bringing help to suffering humanity” in 1979. She passed away in 1997 at the age of 87 and in 2013, the United Nations General Assembly designated the anniversary of her death (September 5th) the International Day of Charity. In my opinion, Mother Teresa was a true “boss lady”: she started with a reasonable goal, fought the system for over a year to create her vision (she could not leave her convent without official permission), committed to her life mission, and used exceptional management and organizational skills to develop her organization. At a high level, she reminds me that if I want to see change in this world, I need to do something about it: act. At a deeper level, she reminds me that empathy is important because people are human beings no matter what.